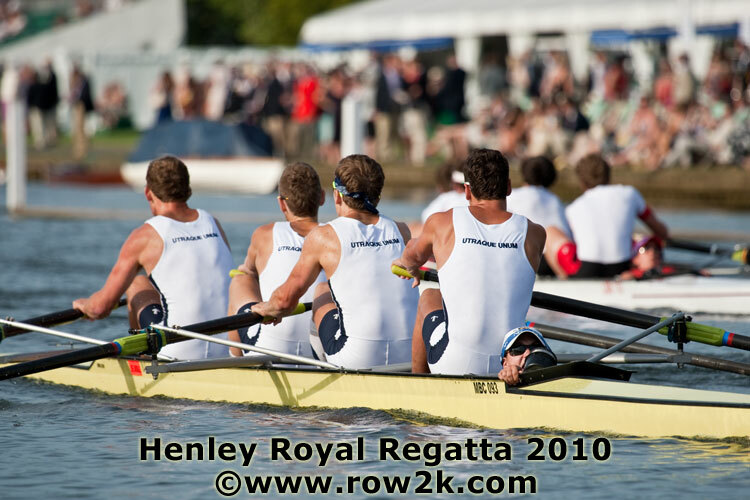 The Henley Royal Regatta has officially begun! We raced on Wednesday afternoon against a crew that we’ve raced three times during our trip- making this our fourth race. It was weird, but kind of nice to “know” the crew. 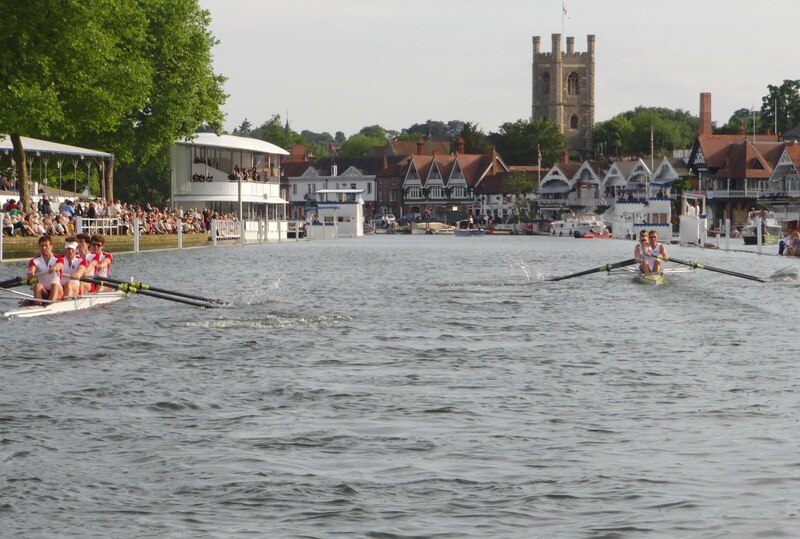 Henley is different than most sprint races that we’re used to. There are only two boats in each race, it’s a big bracket single elimination, no buoys (instead, booms), a little more than 2000 meters, etc. The biggest difference though is that people actually know what crew is. And it is a BIG DEAL. I love it. So the race was long, and honestly a little more than a blur… All this build up for seven and a half minutes and it’s over. Your fate is decided with one ring of a buzzer. And we’re through to the next round! So we race today (Thursday) at 11:10 am local time. Here’s a picture I kindly borrowed from Row2k from the first race. 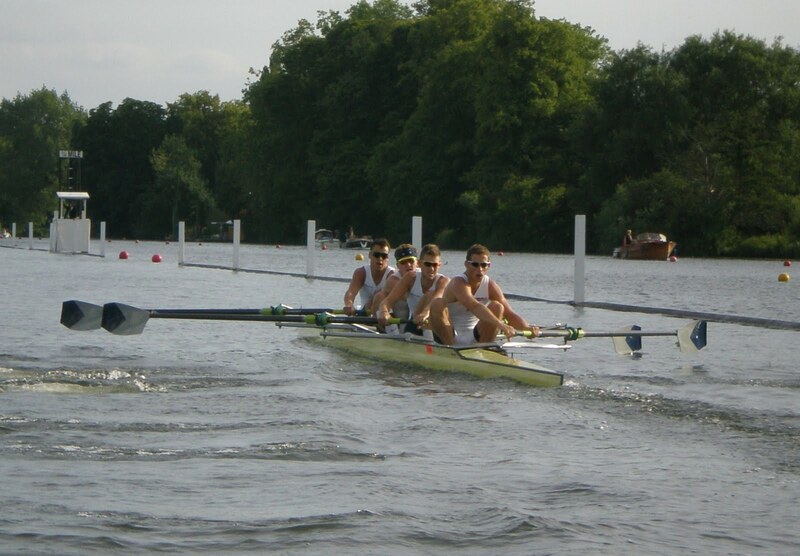 Not many pictures show a coxswain in a bowloader four… That’s my hat and sunglasses and hand. If you look to the background, you can see the crowds as well as the other boat. OBSESSED with this. That’s the finish line down there towards the middle of the photo! Congrats on the win! Good luck today! Congratulations on yesterday's win…Good Luck today!!! so insanely proud of you girl!